“We are thrilled to take Bohol to new heights and make it a premiere tourism destination not only in the Philippines but in Asia and even beyond through collaboration with public and private stakeholders. Sandugo is a remarkable moment in Philippine history and we are honoured to be part of this year’s celebration.” – AirAsia Philippines CEO Joy Caneba. AirAsia the official airline partner of Visit Bohol 2015, has partnered with the Bohol Provincial Tourism Office and Hennan Beach Resort for this year’s Sandugo 2015 Festivities. 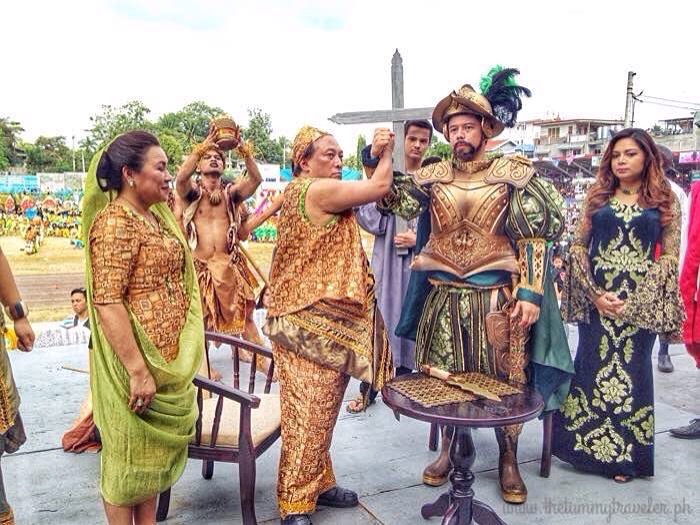 The annual event is held to commemorate a historical sign of friendship or treaty between the Spaniards and Filipinos called the “blood compact”. Bohol Gov. Edgar Chatto and Tagbilaran Mayor Baba Yap’s re-enactment of the historic blood compact. This ancient ritual is notably recorded in Bohol where Spanish colonizers led by Captain Miguel Lopez De Legazpi and local chieftain Datu Sikatuna sealed a friendly agreement in 1565 by drinking a cup of wine mixed with their blood. In honor of this historical event, a shrine has been built in Loay Town in Tagbilaran City with life-size images of Legazpi, Sikatuna and their men made of bronze. 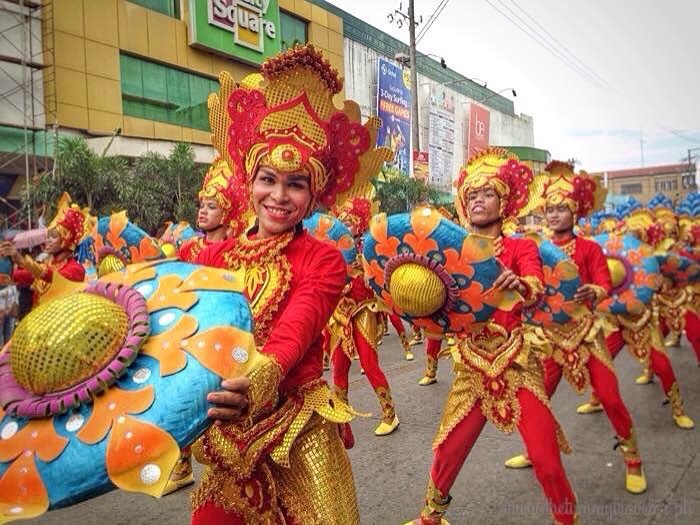 Local and foreign tourists flocked to the Carlos P. Garcia Complex in Tagbilaran City for the most-awaited street dancing competition which is a colorful parade highlighted by grand costumes made from local products and festive dance and musical performances. AirAsia Philippines, the Filipino Low Cost Carrier that flies hand in hand with AirAsia, voted the World’s Best Low Cost Carrier for seven consecutive years, is offering low fares for Manila-Tagbilaran flights with 3x flights daily from Manila’s NAIA Terminal 4 to Tagbilaran Airport. The airline signed a partnership agreement with the Bohol provincial government in November 2014 and has been fully committed to continuously promote Bohol as an important tourist destination with world-class resorts and well developed eco-adventure parks and natural wonders. AirAsia Philippines and AirAsia Zest operate a combined fleet of 15 aircraft servicing domestic destinations of Kalibo (Boracay), Tagbilaran (Bohol), Tacloban, Puerto Princesa (Palawan), Cebu and Davao with international points in Hong Kong, Macau, Korea, Malaysia and China from its hub in Manila, Kalibo and Cebu. It is by far the local carrier with the most number of direct flights to/from Kalibo International Airport.